Having served in adjunct and full-time faculty roles between 1999 and 2006, the former trial attorney and current lecturer at Middle Tennessee State University recalls instances when his academic freedom in the classroom was challenged. He also recalls a pattern of discriminatory hiring practices that often overlooked African-American candidates for full-time positions in favor of lesser-qualified White candidates. Dr. Donald “Guy” Generals, Jr. But the situation is more complex. Tensions between the college’s administration and the faculty union have escalated in the last two years. Current faculty union members say they are fighting a battle to recruit and retain diverse faculty, increase salaries and maintain appropriate workloads through contentious contract negotiations. In interviews with Diverse, former and current faculty members of color shared similar stories of their experiences at the college, revealing a disturbing pattern of systemic racial discrimination. In some instances, faculty members of color say that even minority administrators themselves have served as “gatekeepers” to the system. In 2016, a local news site reported that half of CCP’s 14 Board of Trustee members were African-American, along with the college’s current president, Dr. Donald “Guy” Generals Jr., and several members of his cabinet. At present, 9 of 23 department heads and 5 of 8 deans are persons of color. Institutional efforts to enhance and support diversity and inclusion during Generals’ presidency stem from collaborations with the President’s Diversity Council, the Office of Diversity and Equity, the Human Resources Department and the faculty union. For example, Generals has hosted three “Fireside Chats” this past academic year to recognize Latinx, African-American and Women’s history and heritage months, and he meets with his Diversity Council every year to lay out his vision and goals on diversity and inclusion for the college. In addition, the council created CCP’s third “Diversity Plan” – a guide for administrators, faculty, staff and students to follow – and hosted 25 programming events throughout the 2017-2018 year with sessions on diversity and inclusion-related issues such as microaggressions, hidden biases, creating inclusive syllabi and hiring. The college formed a new diversity and inclusion partnership with Parx Casino in March that will provide scholarships and other supportive services to veteran, LGBTQ, women and underserved student groups at CCP using a three-year, $102,000 grant. CCP was recognized as a 2015 recipient of the Higher Education Excellence in Diversity award and the 2004 Charles Kennedy Equity Award. Even so, complaints of systemic racism and discrimination persist, and they precede Generals’ time at the helm of the college. The problem, as some see it, is that the college has a powerful union that some argue is part of the problem and has protected White faculty and others who have engaged in discriminatory behavior against persons of color and other disenfranchised groups. Asked about the complaints during his tenure, Generals says that he has made a diverse campus climate a top priority. But nearly four years into Generals’ presidency, Edward Baker, a Black assistant professor of Computer Technologies, says faculty of color are looking for someone to turn to for guidance and understanding around the issue of racial injustice at the college. The college’s response to concerns of racial discrimination have ended in lawsuits and EEOC complaints, student and faculty complaints and the creation of the Racial Justice Caucus within the faculty union. Faculty of color created the caucus to confront “structural and institutional racism and the faculty, staff and administrative complicity that enables it to persist,” according to an RJC member’s January 23 email. The challenges that minority faculty face seeking full-time positions are not unique to CCP. They are endemic throughout higher education in both community colleges and larger, predominantly White four-year institutions. Still, discrimination is “blatantly systemic” at CCP because there are some long-serving, non-minority faculty members who do not realize their implicit biases, says Dr. Ardencie Hall-Karambe, an associate professor of English and Theatre Arts at CCP. 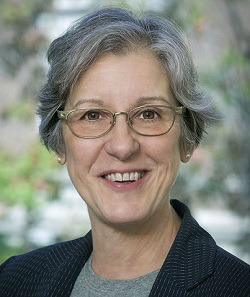 Hall-Karambe has worked at the college since 2001. She previously served on the President’s Diversity Council and was a former coordinator of the Minority Fellows Committee, which is now called the Diversity Fellowship Program. The program provides an opportunity for faculty of color to teach part-time at the college and conduct a research project during a semester. “There’s been a lot … most people would call them microaggressions, although we noticed that in hiring, there were definitely some discrepancies,” she says. This came even after the Diversity Council tried to implement a system so that “those discrepancies would be null and void and it would become harder for [hiring committees] to bypass someone,” Hall-Karambe says. According to news reports, CCP hired 27 full-time faculty members for the 2016-2017 academic year: 14 were White, 8 were African-American, three were Asian and two were Hispanic. The two academic years before saw a smaller percentage of minority faculty hired in full-time roles. This is in a city where the majority of residents are people of color. CCP’s procedures for hiring full-time faculty are partly governed by the Full-Time Faculty Collective Bargaining Agreement between the college and the faculty union. The agreement provides a “strong voice for faculty,” Generals says. All recommendations for hiring of full-time faculty in any department are subject to consideration and approval from, in order, the department’s hiring committee, the department head, the dean, the vice president for academic affairs or vice president of academic and student success and, last, the president. The college’s director of diversity and equity, Simon Brown, meets with every department’s hiring committee at the beginning of the hiring process to explain CCP’s non-discrimination policies and to ensure that all policies are “properly and fairly enforced,” Generals says. 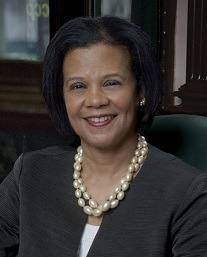 Brown’s office oversees investigations into complaints of racial and other unlawful forms of discrimination. However, Baker says that when he chaired a department hiring committee, he noticed instances where other committee members judged candidates of different backgrounds differently. In some cases, “the better candidate didn’t get the position,” he says. Several faculty of color added that hiring practices that hasten the hiring process or challenge the degree credentials of a candidate as “unfit” for the position have played a factor in whether potential candidates of color are ultimately offered full-time roles at CCP. Paul O. Wright, assistant professor of English, says that upon his arrival at CCP in 1999, older faculty members of color shared “war stories” about widespread discrimination at the college. Over time, “it just came to be that these are the things that I saw with my own eyes,” he says. Wright recalled an earlier experience serving on a department hiring committee, which had to reopen a search because the affirmative action officer pointed out that the original pool was not diverse enough. After the first cut-off date to finalize the application reading period came around, he and another minority faculty member on the committee decided to vote together to extend the reading period. “It’s just a simple thing like that, and because of that, we had a full-time faculty member of color on staff because her application came up in that extra time,” Wright says. In Pierre Vincent’s case, the professor was one of only a few African-American men to be hired full-time in the English Department over a decade ago. He attributed the challenges he faced during the hiring process to Dr. Sharon Thompson, former associate vice president of academic affairs and dean of Liberal Studies, and Dr. Judith Gay, then-vice president for academic affairs. The two – Thompson is White and Gay is African-American – placed his name at the bottom of the candidate list, Vincent alleges. Although he was active within the college community, creating a debate team and serving as a mentor to African-American and other non-traditional students, Vincent says that he was later placed under suspension during his last year for issuing a “C” grade to a White Jewish female student. Thompson disagreed with the grade, he says. Over the course of the year, Vincent says, he tried to work with the faculty union to ensure that he was invited back to teach. He received a letter from the college in 2006 indicating that he had been re-hired, but he decided to not return. 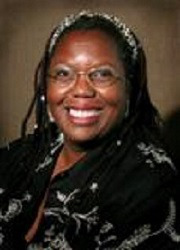 Today, Dr. Linda Evans, a part-time adjunct professor and adviser at CCP, has been unable to secure a full-time position after working at the college for a little more than 30 years. Holding two master’s degrees, including one in academic counseling, and a Ph.D. in adult education with an emphasis on counseling and advising, she applied for a full-time academic adviser position for a fifth time in early 2016. She says that she met the position requirements and included positive evaluations in her application, but was unsuccessful. She says the position went to a White female candidate who had less experience. Remarking that there were no people of color on the six-person hiring committee, Evans questioned how she did not qualify for the full-time adviser role after working as a part-time adviser at CCP for 18 years. She concluded that it was racial discrimination and brought her concerns to senior administrators and the faculty union. “The union didn’t feel the need to fight the administration and say, ‘Hey, we have some long-term part-timers who have been working in the department doing the job on a part-time basis,’” she says. Steve Jones, the union’s co-president and an assistant professor of English and ESL at CCP, says in response to part-time faculty members who feel that the hiring process did not give appropriate consideration to their service at the college, that the part-time and full-time bargaining units within the faculty union worked together to press for special consideration of part-time faculty for full-time jobs. “That’s something that we’ve worked for, for quite a long time,” says Jones. Evans is the sister of Philadelphia Congressman Dwight Evans, who has wielded power in Pennsylvania for decades. That connection may be part of the reason she has not advanced at the college, say some longtime observers. Even so, in an interview with Diverse, Evans cites other racial discrimination lawsuits and EEOC complaints filed against the college, and added that she did not have a “pot of money” to hire a lawyer to commence a legal challenge herself. College officials note that they have not lost a discrimination lawsuit in recent years. 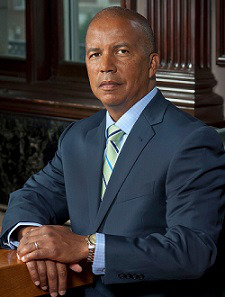 However, in one instance, documents obtained by Diverse relating to a complaint filed with the Pennsylvania Human Relations Commission by Stephanie Booker against CCP show that the college settled Booker’s case. The commission sent a letter to Brown in the diversity and equity office in March 2015 to inform the college that it had investigated and found merit in Booker’s discrimination complaint. Booker received $10,000 and a neutral letter of reference upon signing the settlement agreement, which also was signed by attorney Jill Weitz Garfinkle and union co-president Eric Massenburg on behalf of the college and its faculty union, respectively. Hiring practices at CCP have created a faculty body that does not reflect the majority-minority student population, leading to instances of microaggressions and racial biases in the classroom, some faculty of color say. While 78 percent of CCP students identify as Black, Latinx, Asian or “other,” 70.6 percent of full-time faculty and 62.9 percent of part-time faculty at CCP are White, according to statistics provided by the college. “There’s really far too few faculty of color in proportion to the number of students of color here at CCP,” says Junior Brainard, an assistant professor of English and secretary of CCP’s faculty union. This may be due, in part, to salary stagnation, something the union says it is working to address in contract negotiations. “If our [salary] offer to new faculty is not high enough to actually allow someone to afford to live in Philadelphia…then they’re going to take an offer somewhere else,” Brainard says, adding that “we’ve made offers to faculty of color” who have taken jobs at other institutions. “This is not a hypothetical in the future, this is already happening,” Brainard says. Baker, the computer technologies professor, called the unequal representation “discouraging” for students. Weinberg did not respond to Diverse emails requesting comment. In August 2016, an African-American female student documented her experience in associate professor Bernard Stehle’s English 102 class in the spring of 2015. Among the names that came up in racial discrimination complaints in hiring practices of faculty of color over the years, Gay and Thompson are routine. Those who mentioned the administrators accuse the two of collective “collateral damage to many,” according to a person knowledgeable of faculty complaints. Thompson has since retired, and Gay is now chief of staff and vice president of strategic initiatives. Gay refutes the claims, saying that diversity of faculty increased while she was more directly involved in the faculty hiring process. She adds that the diversity of the faculty continues to increase at CCP. Faculty also cite Dr. John Howe, a former chair of the English Department, as complicit in racial injustice. The department still struggles from the “remnants of his legacy,” one faculty member says. The candidate noted that of the 15 additional interviews he had throughout the year at other institutions, this interview experience was the only one where anything “remotely derogatory” about the school and a segment of the student population came up. “I hope this information may be helpful to you in future negotiations with candidates, and with the department’s development in general,” the individual concludes. Hall-Karambe says that even though most of the “gatekeepers” are now gone, responses from CCP leadership about discrimination are rarely labeled as a form of racism. She offered examples of responses she has heard on previous occasions. Efforts to host a professional development week focused on diversity, hold workshops on the idea of White privilege in an intellectual setting, use terms such as “Black Lives Matter” or attain “buy-in” from union officers were “like pulling teeth,” Hall-Karambe adds. Several faculty members of color say they have sought help from the faculty union to address racial discrimination in hiring at CCP. However, there has been a disconnect in the ways the union takes action concerning racial injustice in some circumstances, they say. “This has contributed to a climate where far too few faculty and staff of color are in leadership roles in the union to proactively address these shameful realities,” reads a January email from the Racial Justice Caucus, an internal group within the faculty union made up of faculty and staff of color and allies. There have been recent efforts by the union to engage in restorative justice practices, hold anti-racism and diversity training for faculty and staff and “position our union at the forefront of initiatives to increase recruitment and retention of Black faculty and staff,” according to a resolution from the union’s Representative Council in support of Black Lives Matter Week of Action. In late March, the RJC held a meeting to update minority faculty and staff on the caucus’ efforts to make the union accountable to all members. The RJC recently proposed giving hiring consideration to people who participate in the Diversity Fellowship program, which is co-sponsored by the union. “That particular issue is one that would be addressed in the union contract itself” through collective bargaining, says Jones, the union co-president. Jones acknowledges that the creation of the caucus has motivated him to be more proactive in creating a union that is equitable and accountable to all faculty in the union. In April, faculty of color presented an open letter during a board of trustees meeting that challenged college officials’ claims of a commitment to diversity. Union members oppose contract proposals they say would increase faculty workload and decrease total compensation in an “increasingly negative work environment” at CCP. Union leaders add that CCP administration’s contract proposals would conflict with efforts to diversify faculty, if implemented. “They’re continuing to push hard on a proposal that would require all full-time faculty to teach an additional course every semester, which would result in layoffs in our part-time unit and a hiring freeze,” Brainard says. “Their charges are not credible, nor are they supported by the facts demonstrating the progress made by this administration,” he tells Diverse. One of Generals’ contract proposals would be to make the Director of Diversity and Equity — or his representative — who sits on departmental hiring committees a voting member in the hiring process. Another administrative proposal that has been ongoing for more than 15 years would be to create a Diversity Fellowship Program for full-time faculty positions. An agreement on the negotiations has not been reached at the time of this article’s publication. Before CCP’s Board of Trustees unanimously chose Generals as president in 2014, faculty members expressed concerns about the dearth of faculty representation on the presidential search committee. Further, faculty held reservations about Generals’ potential hiring due to his past ties to the for-profit Katherine Gibbs School of New York, where he served as provost. Generals was the least-favored candidate of the three presidential finalists based on results from a straw poll held by the faculty union. At the time of Generals’ appointment as president, Jones said the union would work with him going forward. Now, after years of racial discrimination complaints, some minority faculty question if they can continue to look to Generals – an African-American leader of a community college with a majority African-American student body – to fully resolve the issue. “He might be a member of your race, but he is not your kind,” says Evans, the adjunct professor. Tiffany Pennamon can be reached at tiffany@diverseeducation.com. You can follow her on Twitter @tiffanypennamon. This article will appear in the May 31 issue of Diverse magazine.